since it has no soft iron dust cover? Is anti-magnetism not one of the tool watch features of the Geophysic? The watch created in 1958 (the International Geophysical Year) was reinforced to the point of being able to withstand the temperature extremes and instrument-disabling vibrations of a nuclear submarine. In fact, the original Geophysic was gifted to the commanders of the first two submarines to surface at the North Pole. The Geophysic 1958 released in 2014 paid homage to that watch. The True Second and Universal Time adds the unique deadbeat complication, and most significantly, in a caliber with technology that began in the brand's much more expensive pieces. For more detail, here is a photo report on both of the new Geophysics. They are an expansion of the contemporary Geophysic line, suggesting future possibilities for the brand. They are not a strict, feature checklist of the original. In reality, we get very infrequent reports of magnetized watches. And at the same time, the answer to your question is yes. The iron core cage found in the original and the Geophysic 1958 has been omitted in the Geophysic True Second and Universal Time, in favor of showcasing the finishing, the dual-spring architecture and the Gyrolab balance of the movement. I enjoyed reading the launch report which I had missed. Interesting you say that JCL has received very few watches with magnetized issues for service. Omega claimed it was a major issue and moved to redesigning the Co-Axial to be anti-magnetic. 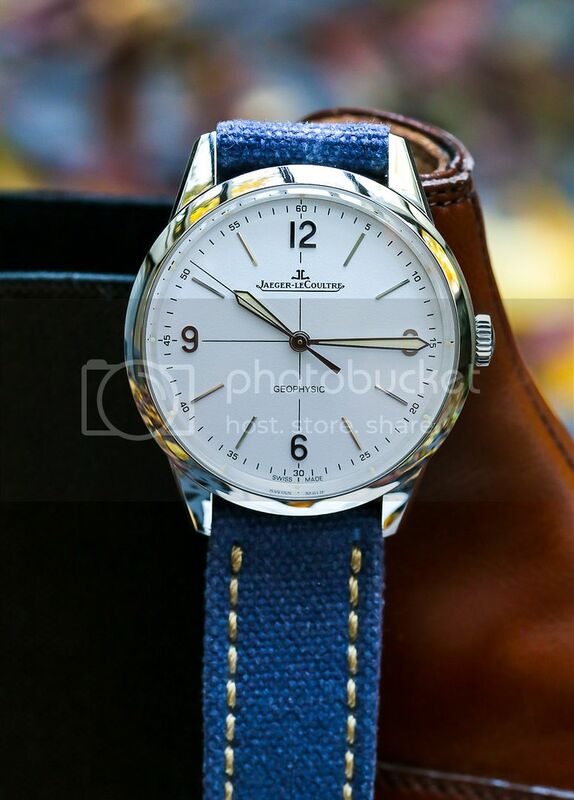 Is there something about the design of JLC movements that makes this less of an issue, or the profile/ lifestyle of the wearers? that Universal Time is spectacular IMO! Caliber and component improvements are made regularly. As with any machinery, in-the-field performance data informs the manufacturer. However, most of these changes are not publicized, nor are they solving the kind of problems that would jeopardize branding (read: major problems). So, we ask the next question: what about the decades of watches produced with minimal or no anti-magnetic properties? Were millions of watches passing daily through airport scanning machines becoming magnetized? In reality, most mechanical watch owners don't even know about magnetism, because they've never experienced it. 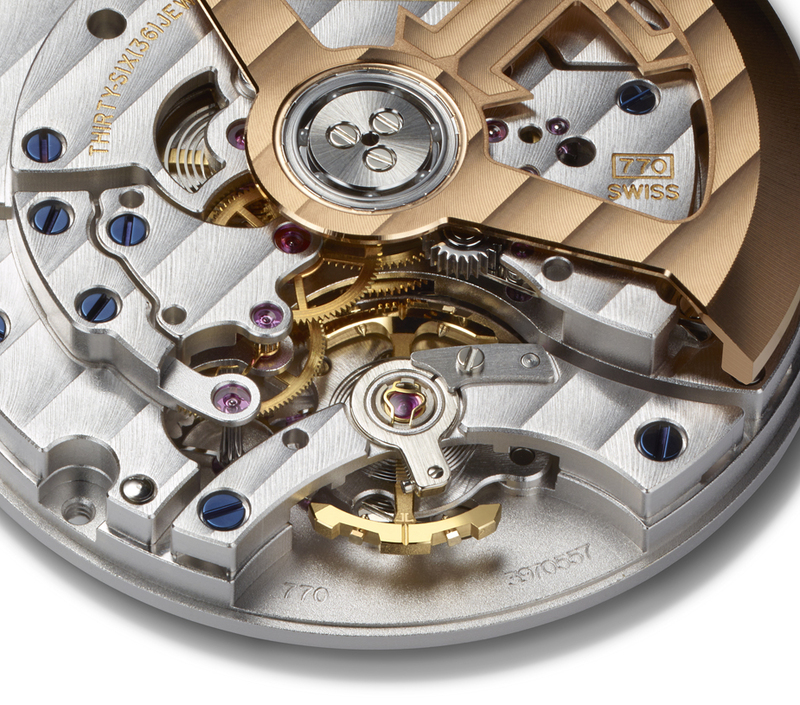 Jaeger-LeCoultre uses components that minimize the magnetism in the movements. What Omega did is create an entirely anti-magnetic movement, which at >15,000 Gauss is 900 horsepower in a 65MPH zone. It is a monumental achievement, one that leads to the very conversation we're having. Because it creates concern about other brands. Like discussions about titanium grades, silicon escapements, in-house movements, modular chronographs, lubricant-free escapements, etc. They're all meaningful, and distracting. In a previous discussion regarding the Co-Axial, I think Jessica said it well. Omega could call their watch movements amagnetic, but that would be a description with no point of reference for nearly everyone. The movements are made with numerous nonferrous materials, and more than just a silicium escapement. They didn't invent these components & they certainly didn't pioneer the use of them. In fact, two haute horlogerie manufactures come to mind that pioneered these advanced materials over a decade ago: Urwerk and De Bethune. The difference is that Urwerk and De Bethune only made exclusive numbers of timepieces that cost many more times an Omega; but now, Omega is able to industrialise the serial production of these movements. Is an amagnetic watch overengineered? Sure. And while over engineering may not be everyone's cuppa, many watch enthusiasts actually chase overbuilt & overengineered watches. See, e.g., Urwerk and De Bethune. And it doesn't just stop at watches - it's pretty common to find TZers who are also into over engineered cars, over engineered audio equipment, over engineered tv/video equipment, overengineered cameras, pens, shoes, bespoke clothes and the list is endless. You can hang out in the L&E forum and see the obsession with quality is often a personality trait, and one that Omega is obviously tapping into. On one hand, we have the technological achievement. On the other, the Cliffs Notes packaging that's meant for us to distinguish "better". The dual-axis tourbillon captivates like a spinning ballerina, and the second hand zero reset takes the tourbillon to a new level of accuracy. And yet, some have already left the conversation because of the hole in the dial. Technology abounds, but what does it mean? There are always two sides to the conversation: the factual and the symbolic. We only bite when the former becomes the latter. to use a silicon hairspring for example. unfortunately, the patents are held by another watchmaking group (swatch group) and they would not let their competitors anywhere near it. Rolex special alloy hairspring would work too but obviously not available for similar reasons. Glass has been tried long ago, and came back a few years back in a Cartier concept watch. It did not go into wider production. I suppose the reason is the cost is not worth the gain. Previous Topic: JLC Reverso - Buckle or Clasp?